Ruth M. Autullo, 91, of Tiffin passed away Sunday afternoon, March 24, 2019 at Mercy Health-Tiffin Hospital. She was born on January 3, 1928 in Adena, Ohio to Roy and Erma (Wonacott) Goldsborough. She married Michael J. Autullo on May 3, 1952 and he survives in Tiffin. Also surviving are her children, two daughters, Carol (Jim) Hartman and Jean (Tim) Frisch both of Tiffin; a son, Tom (Chris Zahn) Autullo of Tiffin; five grandchildren, Nathan (Becky) Hartman, Ryan Hartman, Tony (Dakota) Frisch, Jolene (Nick Roddy) Autullo, Allyson (Matt) Work, great grandchildren, Dylan, Weston, Hailey, Hayden, Harper and Gabi. Her parents, and three sisters, Eleanor Meddles, Janet Long and Marjorie Goldsborough, preceded her in death. Ruth was raised by her grandparents; Sam and Lara Goldsborough and graduated from Adena High School. She moved to Tiffin at the age of 19, began working at General Electric and retired from Sears after 15 years in the catalog department. She remained active, volunteering for Mercy Hospital, traveling, golfing, bowling, and trips to the casino. 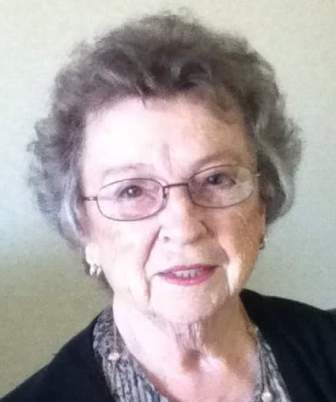 She was a member of St. Mary Catholic Church where she volunteered throughout the years and will be remembered for dancing the “Jitterbug” and as a mother and grandmother to everyone. Her Mass will be Thursday, March 28, 2019 at 10:00 AM at St. Mary Catholic Church with Rev. Gary Walters officiating. A Rosary will be prayed 20 minutes prior to Mass. Burial will follow in the parish cemetery. Friends may visit and share stories on Wednesday, March 27, 2019 from 5-7 PM at Hoffmann-Gottfried-Mack Funeral Home & Crematory. In lieu of flowers and gifts, the family suggests memorials be made to St. Mary Catholic Church, Heartland Hospice or the Alzheimer’s Association.